The Photosmart 309G is HP's latest all-in-one printer released in India. The sleek new device comes with some great new internet and wireless features. 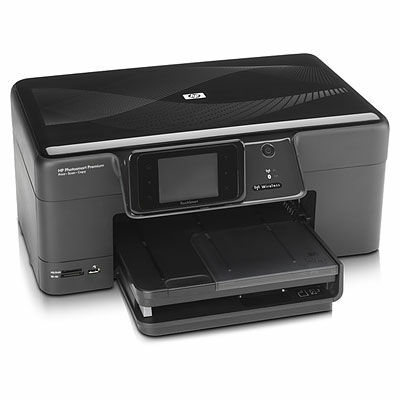 Intended for home consumers, the 309G includes integration with its online SnapFish service vis HP apps to allow printing your web albums with or without a PC. It also comes with support to print directly from your iPhone. The printer features a 3.45" touch-screen which allows you to view you photos, edit them and print them even without a PC. It has wireless support, thus allowing for more flexible placement, and Bluetooth support for printing straight from Bluetooth enabled devices such as camera phones. The printer also features automatic two-sided printing, to save paper, and uses individual ink tanks so only the used-up color need be replaced. The HP Auto Sense technology ensures that you dont accidentally print on the wrong side of your expensive paper, and the printer can also automatically switch to 5x7-inch photo paper while printing photos. The all-in-one device is priced at an affordable Rs. 13,350.